Place the oats, cacao powder & water/milk in a saucepan and cook until the water is absorbed & the oat flakes have softened. Lightly fry the halved hazelnuts with a touch of sea-salt in a non stick pan for a couple of minutes until golden brown. 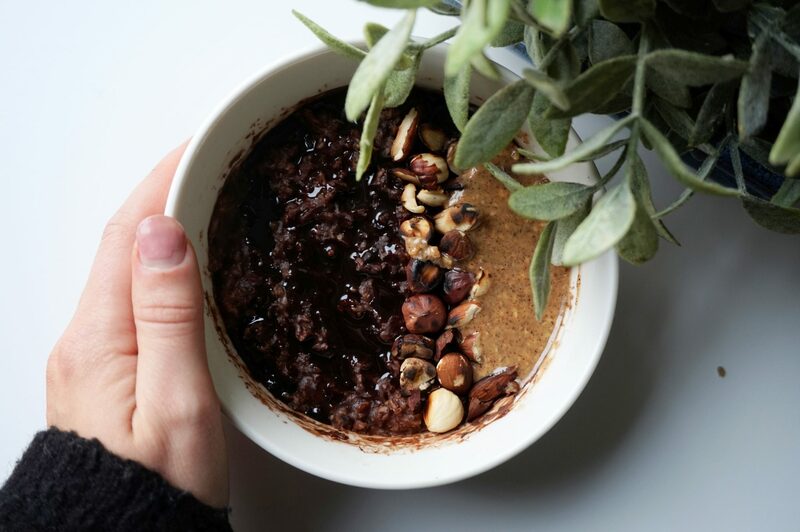 Top your oats with the toasted hazelnuts, Meridian hazelnut butter & the Sweet Freedom’s choc shot.